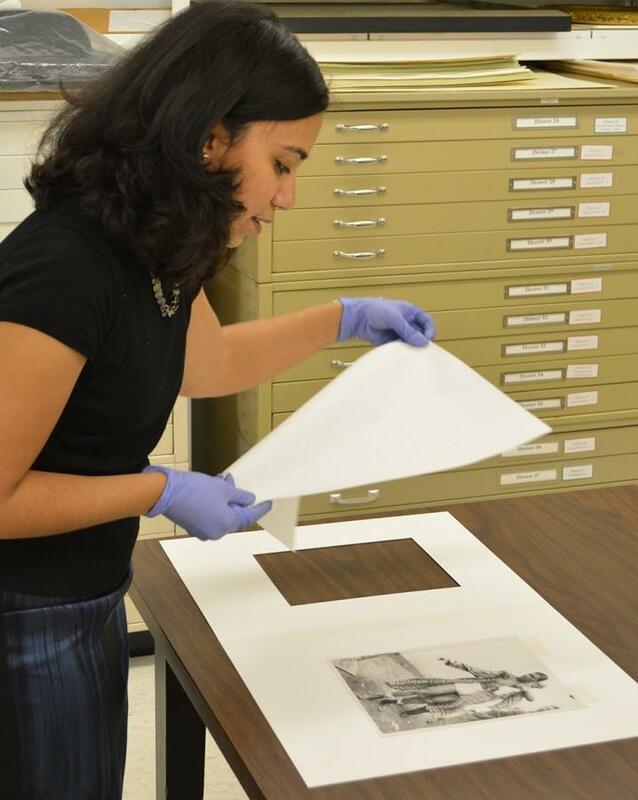 Leslie Ureña (Graduate School ‘09) is the assistant curator of photographs at the Smithsonian National Portrait Gallery in Washington, D.C. She was recently appointed to the position because of her extensive background in art history. thought one day she would get to decide what could go on the walls. After graduating from Yale University and receiving her master’s degree and doctorate in art history from Northwestern, Ureña started a job in February as the assistant curator of photographs at the Smithsonian National Portrait Gallery in Washington, D.C. The National Portrait Gallery presents the history of the United States through portraiture by exhibiting the people who have shaped the country’s development. Art history Prof. Stephen Eisenman, Ureña’s doctoral thesis adviser, said her background brings in an important element of diversity that is often lacking in the museum world. As assistant curator, Ureña will curate exhibitions, consider potential acquisitions and research the history of the museum’s collection, which includes portraits of U.S. presidents and first ladies, as well as Time magazine’s celebrity covers. She will also organize programming and give tours of the museum’s photography exhibitions. Ureña has already participated in several of the museum’s public outreach programs, such as “Portraits After 5: #girlboss,” an event at the museum celebrating Women’s History Month. She spoke at the event about Maya Lin, an artist and architect who designed the Vietnam Veterans Memorial in Washington, D.C.
Ureña was selected for the position because she had the “perfect combination” of scholarly interests and experience, the National Portrait Gallery’s chief curator Brandon Fortune said. “She has a wonderful attention to detail and curiosity about biography and portraiture,” Fortune said. Ureña graduated with a bachelor’s degree in art history at Yale in 1999. Because she was interested in late-19th-century art, Ureña decided to complete her doctorate at NU due to its strength in the subject, she said. After completing her doctorate, Ureña worked at the Museum of Modern Art in New York City, gained experience teaching art history courses in Taiwan and worked at the National Gallery of Art in Washington, D.C., her last role before accepting the position at the National Portrait Gallery in late January. Ureña said she looks forward to getting to know the National Portrait Gallery’s collection, helping grow the collection and curating exhibitions that will engage visitors with history. In her dissertation, Ureña wrote about the work of social documentary photographer Lewis Hine, who took photographs of immigrants arriving at Ellis Island in the early 20th century, she said. “In my work so far, my focus has been on immigration and identity, so I’m drawn to projects that have a strong, not only just identity focus, but have a more socially engaged aspect to it, whether it’s something that deals with gentrification, immigration or recent news events,” she said. Ureña said she is excited to combine this interest in history and current events with a passion for photography, which she fostered as a teenager in New York City by walking around and taking photographs of the city’s buildings. Aside from Ureña’s passion and experience in the field of museums, Eisenman emphasized Ureña’s intelligence, patience and warmth as important contributors to her success.